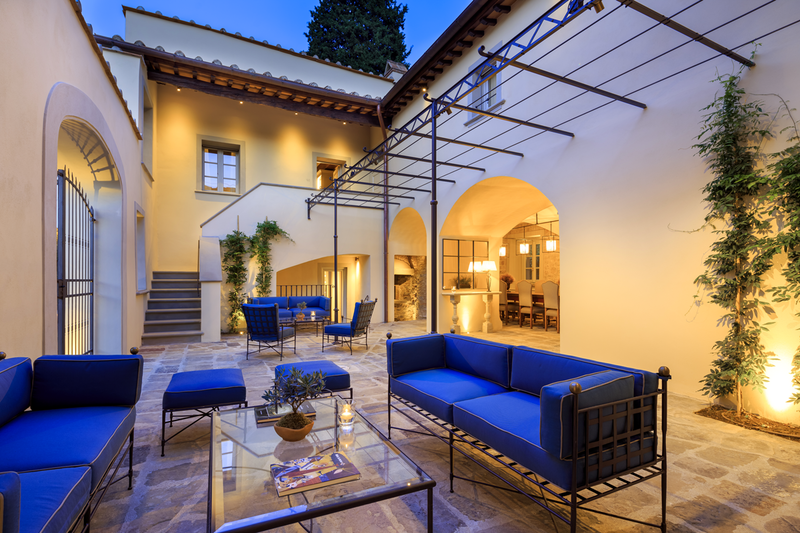 Villa La Massa is a fascinating Medici dwelling of the 16th century on the outskirts of Florence. It was turned into a luxury hotel in 1948. 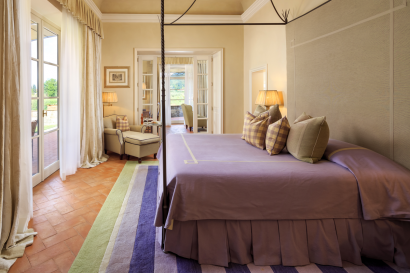 Part of the Leading Hotels of the World, Villa La Massa is the exquisite jewel of the Villa d’Este Group, which completely renovated the property in 1998 and its five hundred years of history live on, telling us tales of Renaissance splendour and the lifestyle of Florentine aristocrats in every nook. Every year during the winter closure the hotel is refurbished. 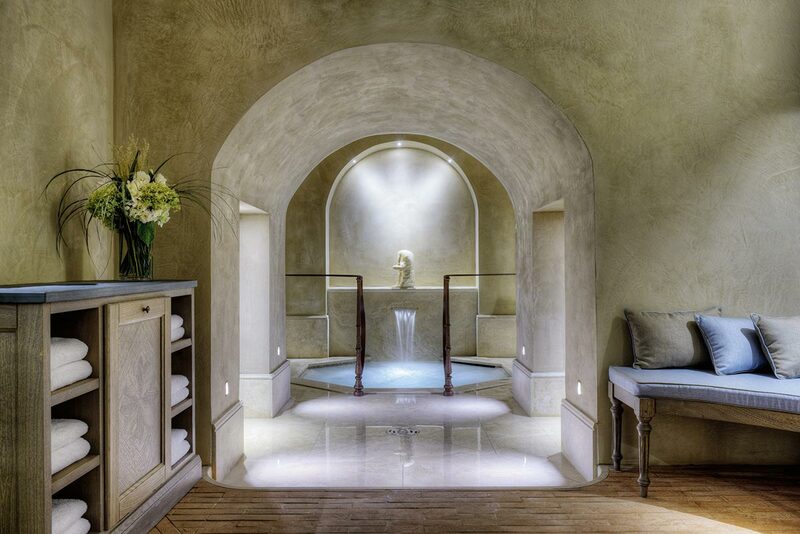 During winter 2014 the Arno Spa was added to the property. On August 2018, Villa La Massa inaugurated a new villa on the Estate, the Casa Colonica, which is an ancient farmhouse (approx. 6500 sq ft) dating back to the mid 1800’s. 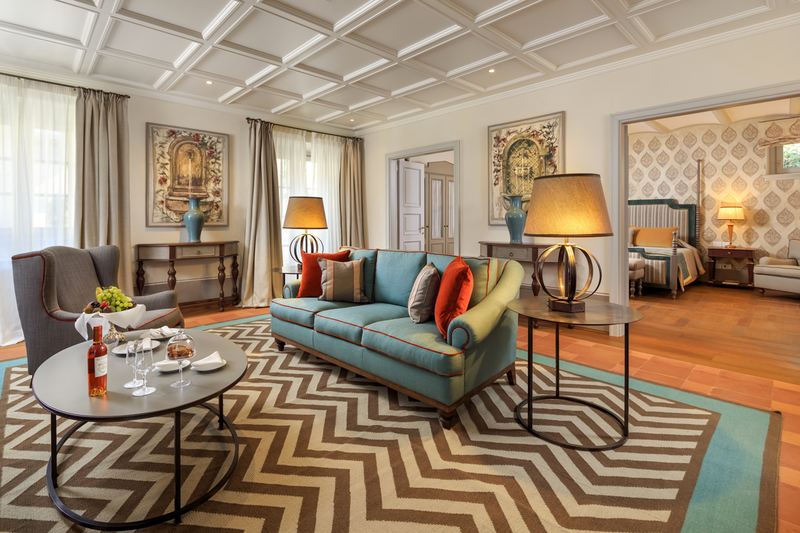 Completely renovated and rehabilitated, the villa features four new Suites and a kitchen. • Perfect location in the peaceful Tuscan countryside, close to the Chianti wine region, directly on the banks of the Arno River, but a stone’s throw from Florence. 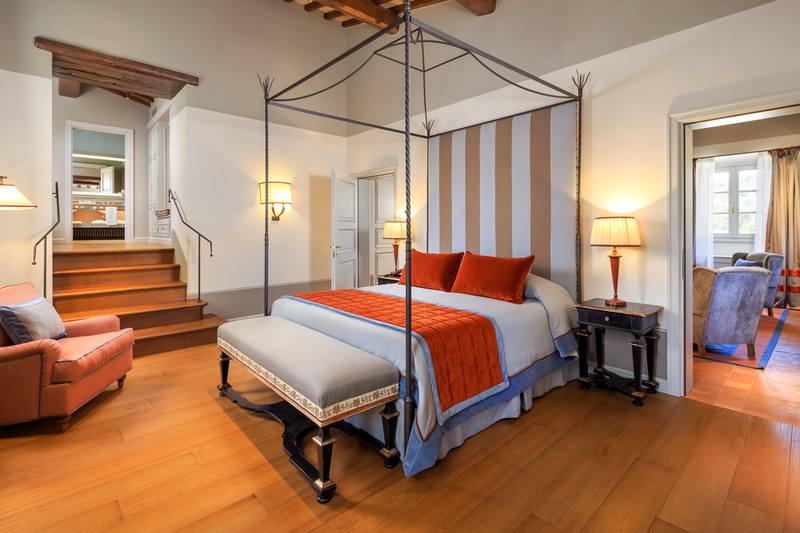 • Small boutique hotel with only 41 rooms, each superbly furnished in the traditional Florentine style. 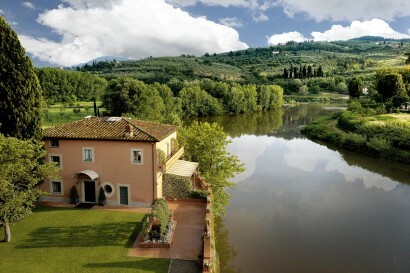 • The hotel restaurant, with a breathtaking terrace overlooking the Arno River, offers the best of the Tuscan cuisine. • Personalized service; friendly staff and atmosphere. • The hotel can be reserved on an exclusive basis for private events. Villa La Massa is conveniently situated to the south of Florence, only 8 Km/6 miles from Florence downdown, and it is at the gateway to the famous Chianti wine region. Complimentary shuttle service is available to and from Ponte Vecchio 7 days a week. The property is graced with 22 acres of gardens, full of paths that lead you to the Arno River and from which you can see the beautiful panorama of the Chianti Rufina hills that surround it. Visit to the city of Florence, Pisa, Lucca, Siena, San Gimignano etc. 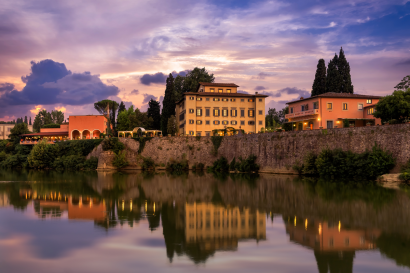 ; excursions to the Chianti wineries; visit to private villas and gardens throughout Tuscany; Vespa and Ferrari tours; airballoons tours; truffle hunting; cooking lessons and wine tastings. 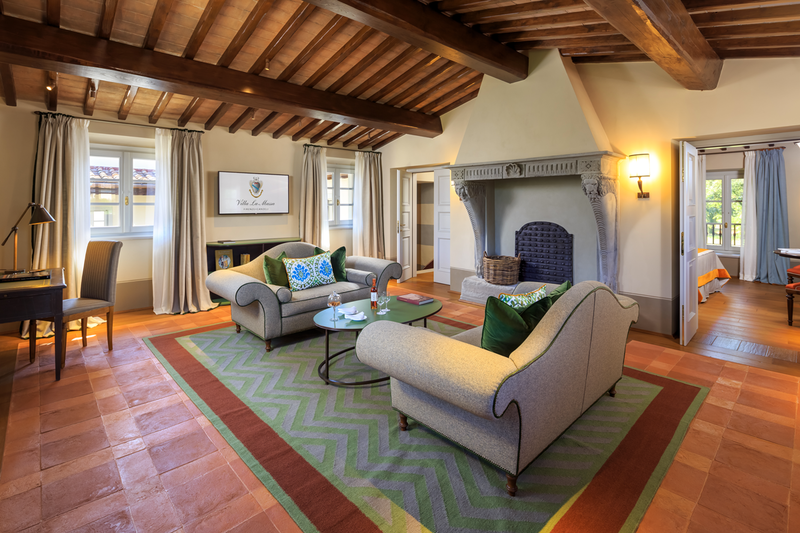 Guests can enjoy many fun activities such as Vespa and Ferrari tours around Tuscany or discover the secret recipes of the Chef during our cooking demostrations. In the autumn they can also experience a realt truffle hunt. • Playground area in the garden. • Babysitting service on request. The 41 rooms, mostly Suites and Junior Suites, are seated in four buildings: the Noble Villa (Villa Nobile), the Mill (Il Mulino, XV century),the little Villa (Il Villino) and the Casa Colonica, an ancient farmhouse featuring 4 suites and a kitchen, that has been rehabilitated in 2018 and can be rented out on an exclusive basis. 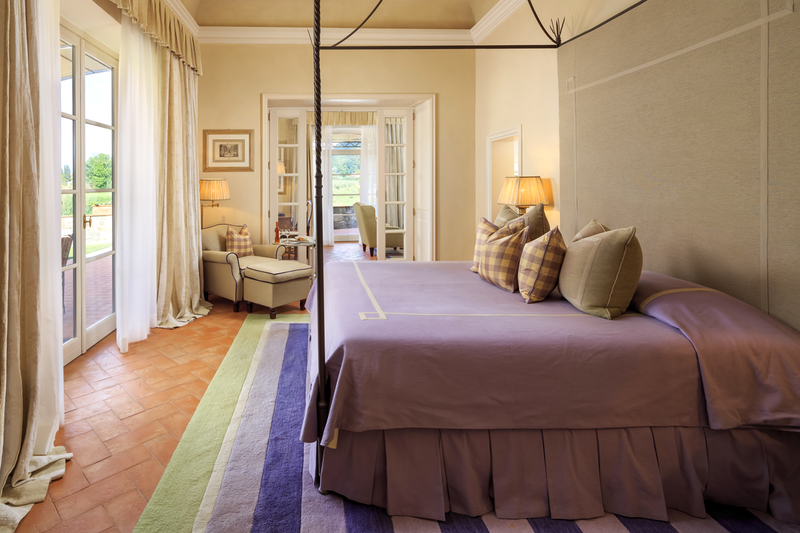 The Villino, suits those looking for a private retreat thanks to the Presidential Suite with its private garden, or the Parco Suite overlooking the river and the hills. It can be rented on exclusive use. Under the direction of Executive Chef Simone Paredi, menu include both Tuscan regional specialities and Mediterranean specialities, thus offering a broad daily choice. The sommeliers have chosen 400 labels among those best representing the Italian wine culture, with a special focus on Tuscan wines. Its terrace overlooking the Arno River is a unique setting for romantic dinners. 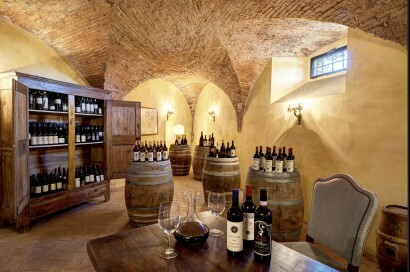 Situated in the Noble Villa it offers a wide selection of grappe (Italian eau-devie), whiskies, brandies and cocktails. It is possible to have informal lunches, which are served at the Pool Bar in Summertime. The Tuscan Bistrot, which is located in the Noble Villa next to the Medicean Bar, offers a cozy ambience where guests can have lunch or dinner. 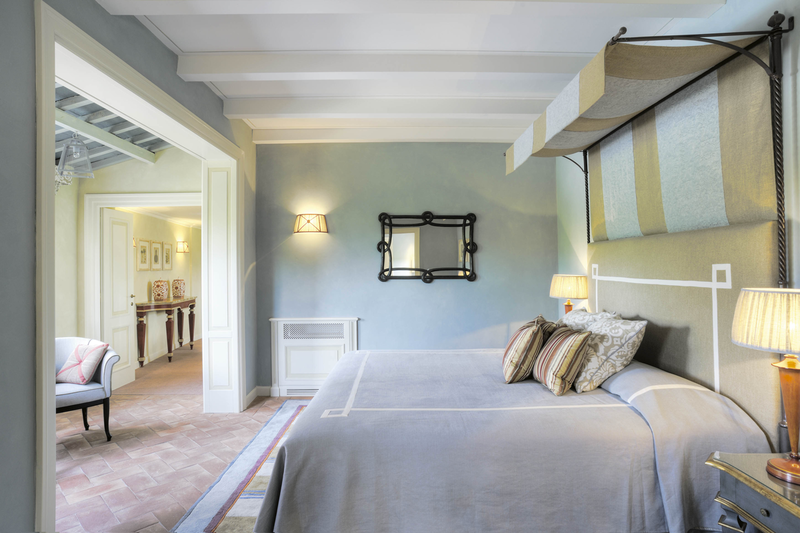 A warm and informal welcome in an original Tuscan atmosphere, combining heritage with luxurious comfort. Inspired by the Tuscan fragrant flowers and aromatic herbs of our gardens, the “Officina Profumo Farmaceutica di Santa Maria Novella” cosmetic line is available at the SPA of Villa La Massa. Acqua: the wet area with the Turkish bath, the sauna, the Roman pool with hydro-massage and sensory showers. Beauté: two spa suites – one twin bedded – for treatments pervaded with Tuscan scents. Sport: all gym equipment, space for yoga and floor exercises. 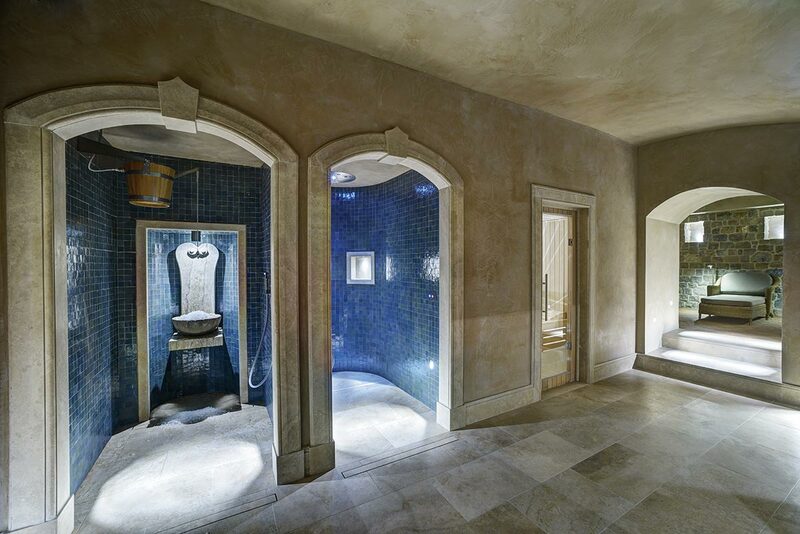 Everything evokes the feel of Villa La Massa. 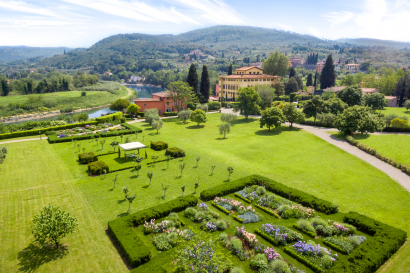 • The Elegance and intimacy of Villa La Massa makes it the ideal location for small and prestigious meetings or banquets and romantic weddings. 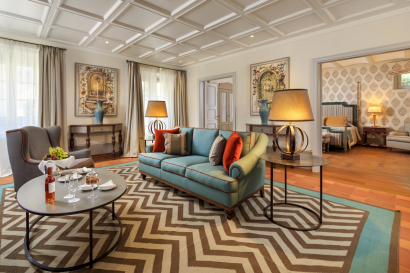 • The Villino with its 7 suites and the Casa Colonica with its 4 suites and a kitchen, can be rented exclusively for those seeking ultimate privacy or a home away from home. 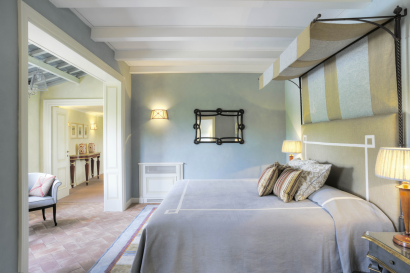 • Villa La Massa offers the possibility of exclusive renting of the entire hotel.